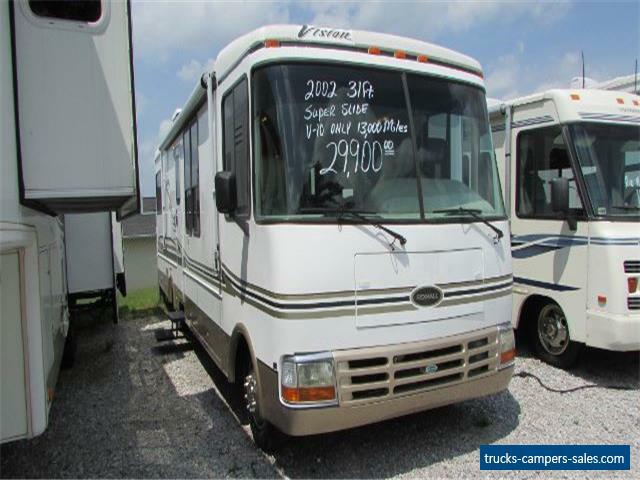 Check out this clean, low mileage Class motor home with slide for under $30,000! 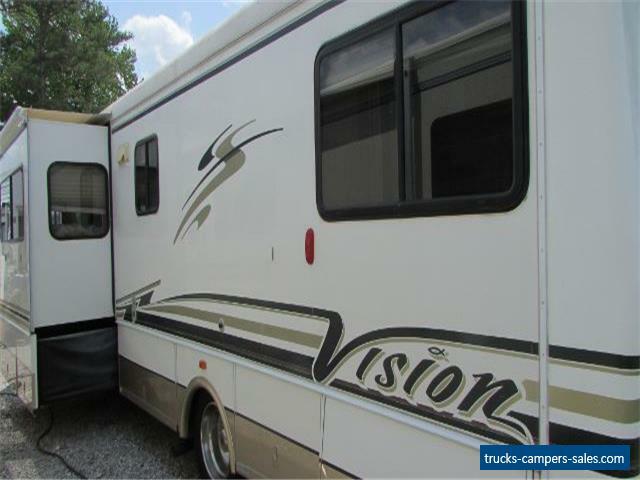 This 2002 Rexhall Vision 315 only has 13,000 miles. Built on super duty Ford chassis with the 6.8 liter Triton V-10 with 305 Horsepower and 420 lb/ft of torque. Plenty of power for merging onto today's busy interstates and highways even while towing vehicle or trailer. This motor home also has Generac 5.5 RV Generator that runs great with 300 hours, HWH hydraulic leveling jacks, power slide out with awning topper, patio awning, full heated basement, power entry steps, rear view camera system, heavy duty trailer tow package, and more! Only 31.5 ft. long and is very easy size to drive and park. The interior looks great and has lot of upgrades, no smoke or pet odors and after purchase our RV techs will perform and repair anything that this coach may need to pass very extensive RV checkout. For copy of our checkout checksheet and what all it covers please contact our non-commissioned sales department. 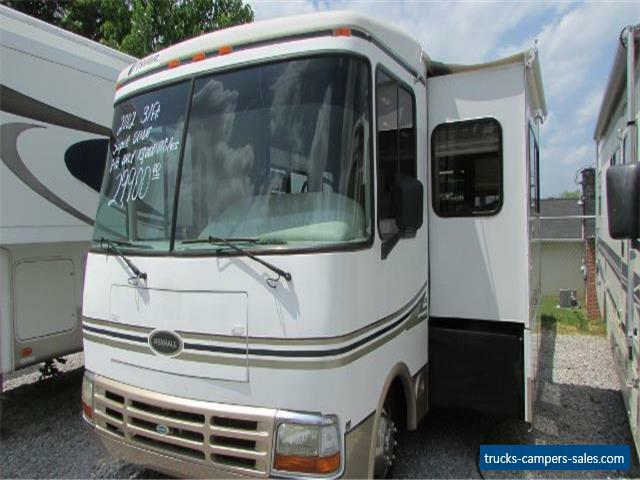 The front cab has two captains chairs that both swivel for party seating, CD Stereo, TV. Behind the cab is large sectional sleeper sofa, notice all the upgrade hardwood cabinets, the nice woodwork around the slide, day/night shades in the windows. The kitchen also RV 2-way fridge/freezer, LP range and oven and microwave, carpeted headliner that helps with insulation and reduces outside noise, side bathroom with large glass surround shower, skylight, rear bedroom with twin beds (can be converted to queen ), and more! Priced to sell fast!! Take advantage of our financing with rates starting at 4% with approved credit. Only $29,900 haggle free and will trade. We offer discount nationwide delivery (we have sold RV's to all 50 states, Canada, Europe, and even Australia so you are never too far away for us to save you money on pre-owned RV). We have some great financing with approved credit and down payment. Parkway RV Center also does not charge any doc fee, no prep fee, no tag/title fee, etc. Don't fall for the big RV dealer fee scam. All those fees are 100% dealer profit! !